Home equity for those aged 62 and over rose by 3.1% in the first quarter of 2017 compared to the previous quarter, making a combined $6.3 trillion. 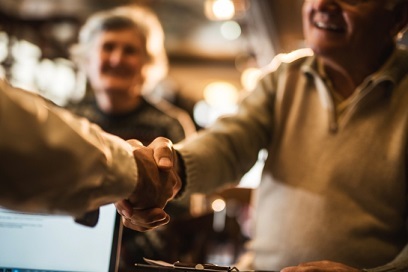 Homes owned by seniors increased their value by 2.6% or $199.3 billion while mortgage costs increased 0.6% to $9.2 billion, according to data from the National Reverse Mortgage Lenders Association. The association has published a to help seniors use their home equity to make modifications to their homes to meet the needs of aging. "Older adults who want to stay in their own homes as they age, and we know a majority do, may find that the house that was perfect for raising a family lacks the features to support aging in place. But, instead of moving out, various modifications, such as stairless entryways and wider bathroom doorframes, can be made to accommodate new mobility and accessibility needs," said NRMLA President and CEO Peter Bell. The RMMI, a quarterly measurement of home equity held by older homeowners, rose to 227.07 in Q1 2017, another all-time high since the index was first published in 2000. "The housing wealth our seniors have built up in their homes over the years, their home equity, can be used to update the family house into a space for living comfortably and independently for years to come," added Bell.